Mascara is the one make up item that I'd chose over anything else, if I could only wear one piece of make up it'd be mascara without a doubt. It makes you look awake and opens your eyes and it only takes two seconds to apply a few coats. I'm guilty of buying far too much mascara, every time Boots are advertising the latest and greatest release in the mascara world I always want to try it. Today I've picked my top five mascara's that have become my favourites over the years and trust me when I say, I have tried every mascara out there! I bought Rimmel's new offering a few weeks ago because firstly it looked lovely and secondly they had a 2 for €12 offer on all Rimmel products, so I picked up this and another Wake Me Up foundation (my absolute favourite foundation). I hadn't heard much about this mascara but when I applied it for the first time I was very happy with it. The brush separated my lashes from root to tip and there was no clumping at all, no matter how many coats I applied and to be honest I didn't need many as it's so volumising, I absolutely love it! This has been a favourite of mine since it was released, in fact I've never tried a Maybelline mascara that I didn't like and I've tried them all! This is perfect for building volume as the brush holds a lot of product, just be careful because it can clump at times, I usually put this on before the Rimmel Wonder'Full for perfect lashes! When Collection brought out this mascara I couldn't really believe my eyes, it's almost identical to the Benefit They're Real mascara, but for a quarter of the price! The brushes are the exact same and I wouldn't be surprised if the formula was too! I love this mascara for staying on all day, the only downside is that it really doesn't budge and getting it off can sometimes prove quite difficult! If you're thinking of investing in the Benefit mascara definitely try this first! This is my current favourite and I've been using it everyday for the past week. This mascara is a great all rounder, it gives me length, volume and doesn't clump. 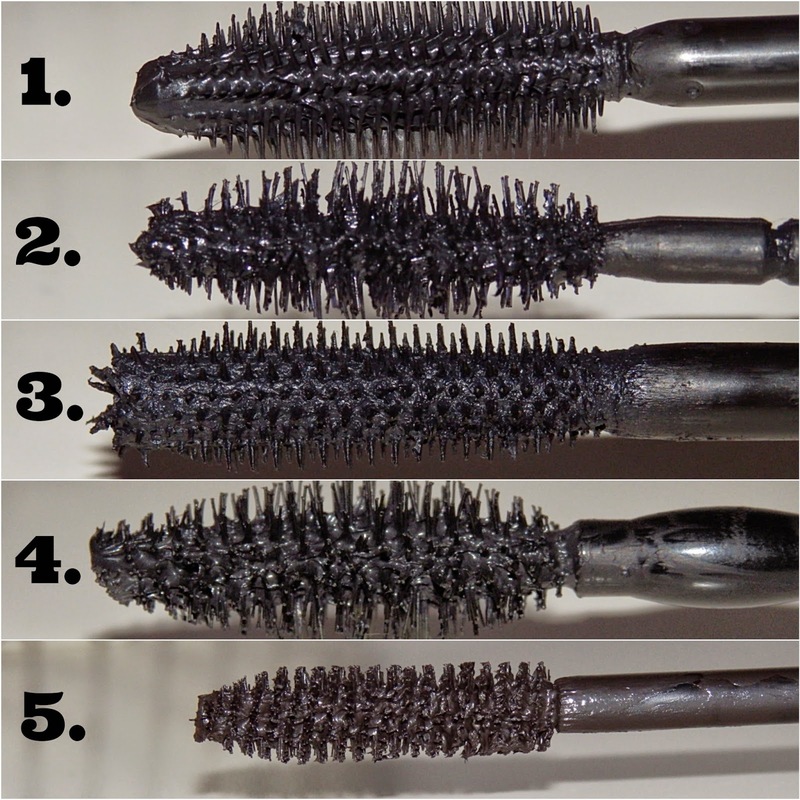 The brush is very like the Mega Plush brush but the bristles are more rigid in this mascara, meaning it grabs every lash. It takes me seconds to get perfect lashes and it usually lasts all day, if I don't pick it off (the worst habit ever). I bought this last Christmas when there was a Soap&Glory offer on in Boots and although I don't use it day to day I still love it. It gives amazing length but not much volume so I always use another mascara under it to bump my lashes up a bit. I hope you enjoyed this post, thanks for reading! 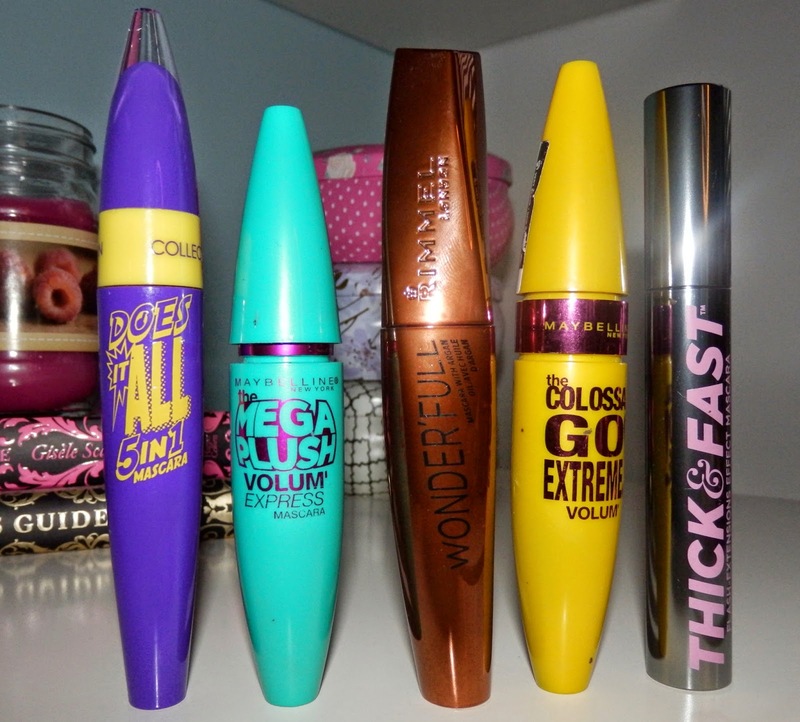 What are your top mascara picks? Let me know in the comments below!